I'm nuts. Totally nuts about making things better, prettier, tidier at home. I paint furniture, reupholser sofas, make decorations, sew, staple, glue, redo and remake. It never ends. Lately I started to get irritated by the way my daughter collects things in her bed. 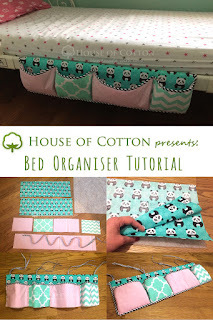 Do your kids' beds look the same way? My girl needs to keep all her favourite things (since recently including books as well, which makes me soooo happy!!!) close as she sleeps, leaving less and less space for her own head. 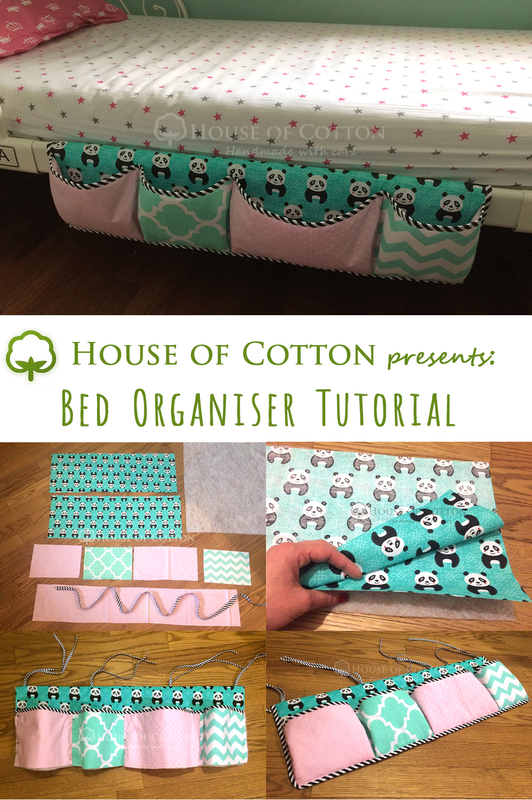 It definitely needed fixing, so I have made her an organiser for all her bed inhabitants. My piece is 70 cm long and 23 cm high, with 4 pockets 16, 16, 24 and 14 cm wide and 15 cm high. This bed (Ikea) has quite low sides, so if yours have higher sides the panel should be higer in order to be easily mounted under the mattress. 8. Next measure the distances between the pockets and pin them to the panel. Sew the pockets along the pocket seams. 10. Sew the binding along the panel together with the pockets, leaving only the upper edge of the panel (the one with the ties). Start and end by folding the ends of the bias tape. ... and then on the front. PS I'm seriously considering doing one for myself too. For telephone, Kindle, water, medicines, tissues and staff - why should it all crowd on my nightstand?